$13.99Purple Foam Light Up Glow Stick - 18"
There's something about the west that's a little eerie, a little spooky. You can head out to the plains to this day and still see ghost towns with actual tumbleweeds blowing through. There are strange rock formations along the horizon, coyotes that howl as the moon rises, and grasses that rustle across the endless landscape. It's no wonder that the western lifestyle has worked its way into all sorts of spooky stories and horror movies. And now, the classic western sun-bleached cow skull can work its way into your own home! 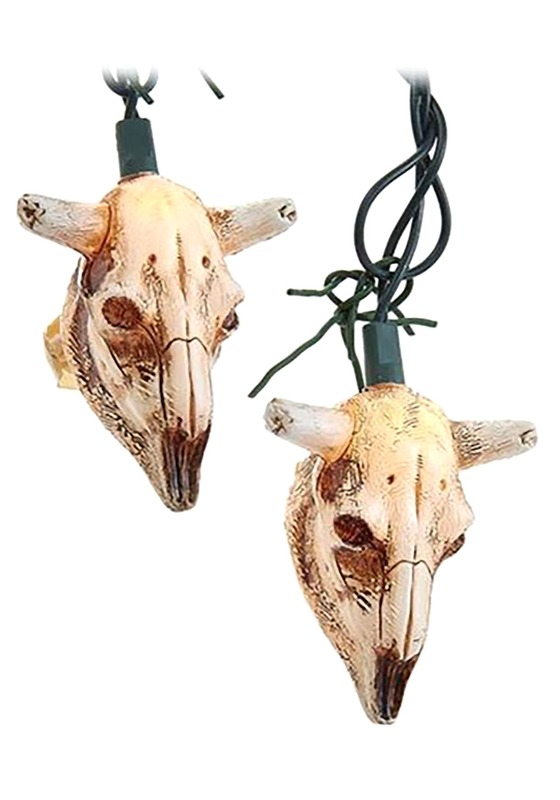 This ten-piece light set will add a strange mix of eerieness as well as old-west charm to your decor. The skulls are staggered with one foot between each skull so it's long enough to drape over any saloon door. The lights can be displayed both inside and outside. You'll love the warm glow that comes from these molded skulls. Are you ready to get in touch with your old west side? 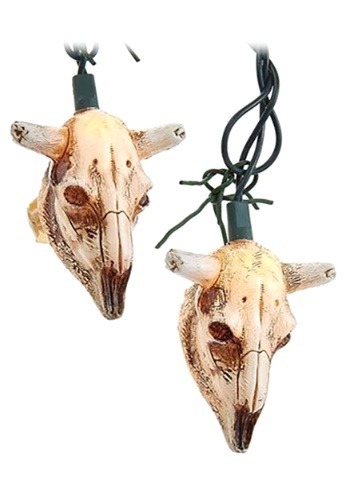 These lights work well for Halloween parties as well as western themed shindigs. Throw on some cowboy hats and play some fiddle music and watch as it all comes together. Who knew what a simple string of lights could do!